When your house in going on the market, your realtor will encourage you to cleanup, clear out and create less distractions for potential buyers. New owners want to imagine their belongings in a space, not yours. At Organization & Relocation, we have the perfect system to get your house market ready. What to do with the stuff you want to keep, but need out of the house for showings? In a word, storage units. After Org & Relo helps you sort, categorize and decide what to keep, donate or trash, we pack every box personalized and tailored to you. Every household member has their box color coded and label clearly, making it easy to see whose box is whose in the storage unit. Plus, when your house sells, you and your family are already partially packed and ready to move on! Call us today, let's get your house ready for sale in the best way possible! Realtor √ Movers √ Move Coordinator…what is that? Relocation – Love It or Leave It? If you have ever moved, chances are you have a good understanding of why they say moving is one of the most stressful life events. Crazy enough – there are those people who love to move. Are you a Love It or Leave It person when it comes to moving? How can you learn to Love It? Own less. Not only will this benefit you financially for moving but you will reap the daily benefits of less stuff! Make a list. Having all the tasks listed in one place will ease your mind of worrying that something important will be forgotten until it is too late. Hire help. Organization & Relocation coordinates moves every week and has the process down to a science. This not only give you the luxury of lifting a huge weight off your shoulders, but allows you to enjoy the daily lifestyle activities your family is used to with minimal interruption. If you haven’t guessed…we are definitely on the Love It side when it comes to moving. What side are you on? Moving always seems to have the connotation of chaotic and stressful, but what people don't tell you is that it can all be fun and enjoyable if you get organized prior to the big move! Hiring a professional organizer to help facilitate your move will impact your life in more ways than one. Not only will you be able to be start fresh in a new home, but your mind will be reset as well, which will free up more energy for you to take on more things you enjoy and living the life you want to live! Pre-move prep is SO important! It's simple - why pack, unpack and organize the items you don't even want or need? That's where we come in and help you go through all of your items and help you toss what you don't need in the new space! This is one of my personal favorites, besides unpacking and organizing a kitchen, because I love getting people ready to move onto a new chapter in their lives - it is so rewarding to me! So, who is ready to get organized for a move, now?! Here are six S-I-M-P-L-E ways you can show the clutter in your life who’s really in charge. Start - If you’re so overwhelmed that you don’t know where to begin, try starting with one small area that haunts you the most--a section of kitchen counter, a small drawer. Integrate - Pick up five things, and return them to their proper location. These should be items you’re used to seeing deposited on counters or floors; mail, the dog’s leash, your daughter’s hair clip, random sport socks. If you don’t have a designated place for them, think about one that would suit, and start using it all the time. Maybe - Give yourself the gift of a “Maybe” box that you can put things in for now. Sometimes, even though we know we should get rid of something, we can’t quite let it go. Look at the random selection you’ve kept a few months down the road--chances are it will all go straight to donation. Purchase Wisely - Be a more conscious shopper so that you’re not filling your decluttered home with more clutter. Whenever you see something you want, add it to an ongoing list with the date you first saw it, and then revisit the list 30 days later. You may find when you check back that the urge to purchase it has gone. Lessen – studies show that less visual clutter leads to less overwhelm. Only display items that are beautiful to you or that bring back a wonderful memory. Eliminate - Just get rid of these things--I mean, seriously: why are you keeping them? 6 ITEMS TO PART WITH TODAY! Living in a cluttered home or trying to work in a cluttered office is an exercise in frustration. Car keys get swallowed up, you can’t locate your important report in time for your meeting, or you replace something you can’t find only to have the original turn up shortly after. Isn’t that the worst? Make sure that never happens again by getting clutter under S-I-M-P-L-E control... one random sport sock at a time. Prepare to sell! The decision has been made to sell your home and relocate. Now your mind is full of the multitude of tasks that need to happen. Where do you begin? 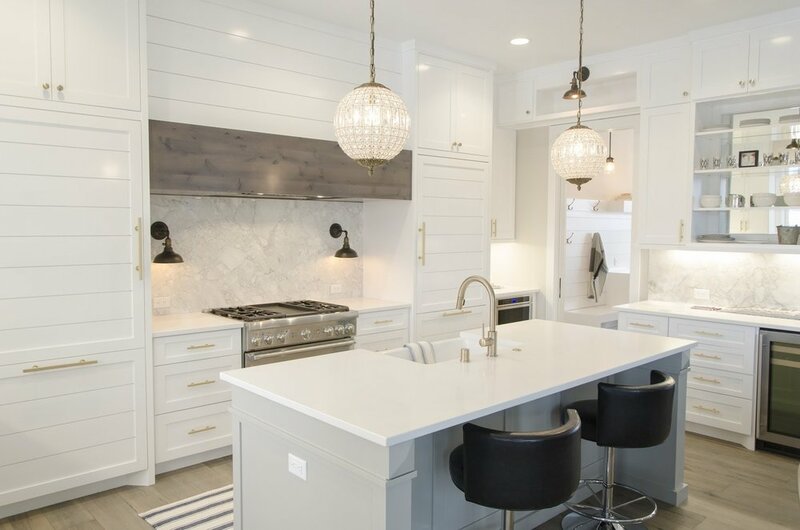 Here are 3 tips to get your home market ready based on Organization and Relocation’s project manager, Jennifer Gowler’s recent personal experience of putting her own place on the market. Put away all your personal photos and items. You want potential buyers to visualize their own pictures and items in the space. Packing up these items properly for moving right now will get you a step ahead in the moving process. Bonus! Clear out excess/un-necessary furniture to make the rooms seem larger. This is also a good opportunity to get rid of those items you don’t use or love (or maybe they have been so loved their time has expired). 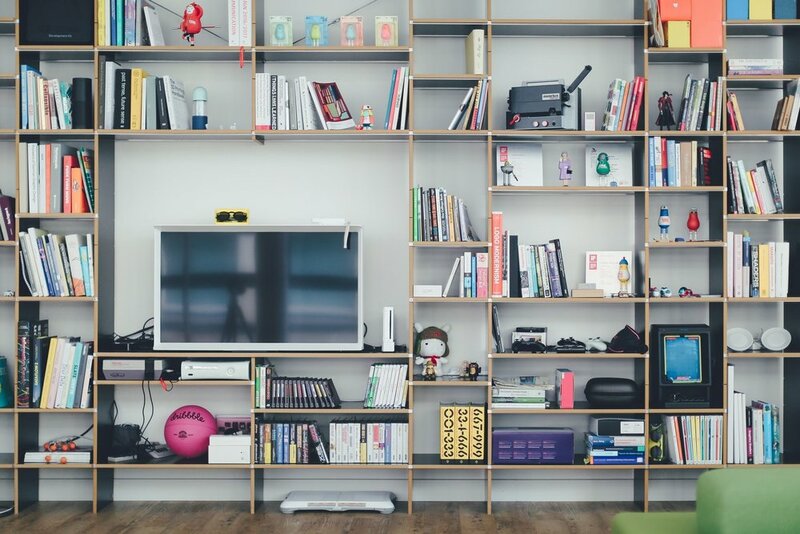 Any furniture you plan on using in your new home that doesn’t quite accentuate your current space should be put in storage while your home is on the market. Pick a theme and stage the home with items that will look good in photographs. It may not be your particular taste, but that is ok. It is not going to be your home for much longer. This is part of the transition process of leaving a home. Some simple staging can go a long way. Following these three simple guidelines will put you well on the road to seeing that sold sign in your front yard. It is easy to get attached to our spaces (and our things). Change is rarely easy, but it is a good time to reflect on what and who is truly important to us. Create the lifestyle that you want with the people you want to share it with. Happy moving! 2016 brought a major move for my mom giving me a new perspective dealing with the emotional side of relocation. Los Angeles was home for my mom, Cissy Coberly Hadley, for 77 years; except for 4 years of college at Berkeley. While we always respect the emotions of our clients who are moving, it is different when it is your parent. Until the last few years, she never thought that she would leave LA, my brothers and I never thought she'd leave LA; after all, three generations of Coberlys were born at the same hospital in downtown LA. It's never too early to start preparing for a move, and my mom is always ready months ahead of time for everything. She easily gets rid of things she doesn't want or need, which makes my job easier! She officially hired Org & Relo to execute her move since even the most exciting of moves are always stressful and chaotic. Despite her hiring professionals (my brother, John, works with me and for this important move, we brought Bill in too), the reality of all of our emotions of her leaving friends & family behind, downsizing to 680 sq ft from 1800 sq ft, moving from a house to "life care community" in Santa Barbara when she really didn't want to yet, was daunting. Fortunately, for her children, she made a wise decision to relocate as the opportunity arose for a great unit, when she is physically and mentally able. Adding to the overwhelming emotion of this life change, are the tasks of going through family albums, history, laughing about childhood memories, treasures, and really prioritizing what's important to have around you in your home since memories are really in the mind. Then, there is finding a new grocery store, pharmacy, your way around town, and of course a restaurant where they all know you (what fun is it if the bartender doesn't say hi when you walk in?!). We got her packed up, movers loaded the truck, said goodbye to Los Angeles, drove up the coast to Santa Barbara, and had her unpacked, organized, and art hung in 1 1/2 days. Then John, Bill & I jumped in a UHaul to the Bay Area to drop off furniture & family heirlooms from my mom for their own homes to enjoy. Although I have done this for 12 years, it reinforced the emotional experience that moving is for the entire family. Thank you to my brothers for all their hard work and ideas to help our mom settle in. Even though she has daily adjustments to a new town and way of living, it felt like a home! 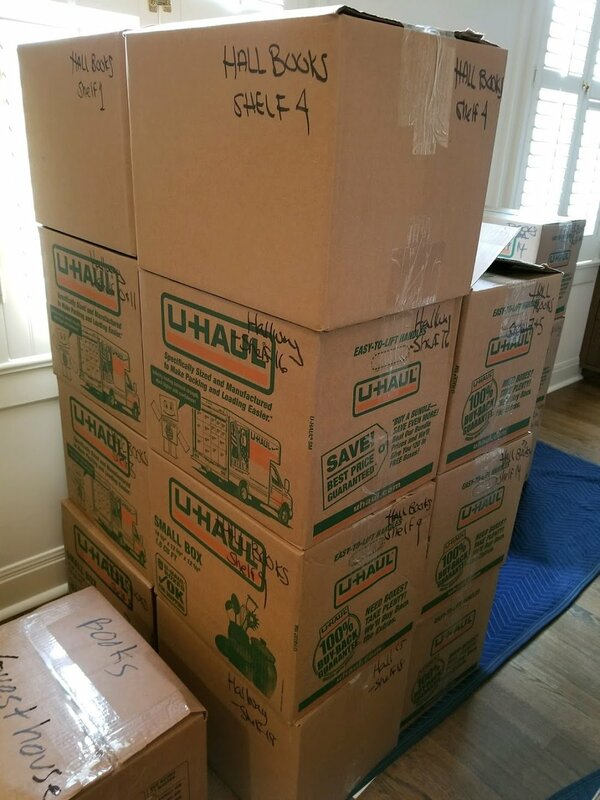 Getting recommendations for reputable movers from friends, colleagues, professional organizers, or realtors makes a lot of sense. If that’s not an option, ask the movers you’re interviewing for customer contact info to help with your decision. At Org & Relo we work with many different movers, and we definitely know the ones who set the bar high. For example, any mover who slides a box across a hardwood floor is off our dance card! How Do I Relocate My Office and Keep My Business Thriving at the Same Time? Thousands of companies in the U.S. move every year. This may be due to growth, down-sizing, or the need for a more efficient space. Moving often takes longer than we think it will--definitely longer than we want it to--and it’s important to account for the unexpected and unforeseen. Relocating an office is more complicated and time-consuming than moving a home; you’re managing employees, evaluating current systems, creating new ones, and trying to keep your business going at the same time. A minimal disruption to workflow and revenue is key in a commercial move. 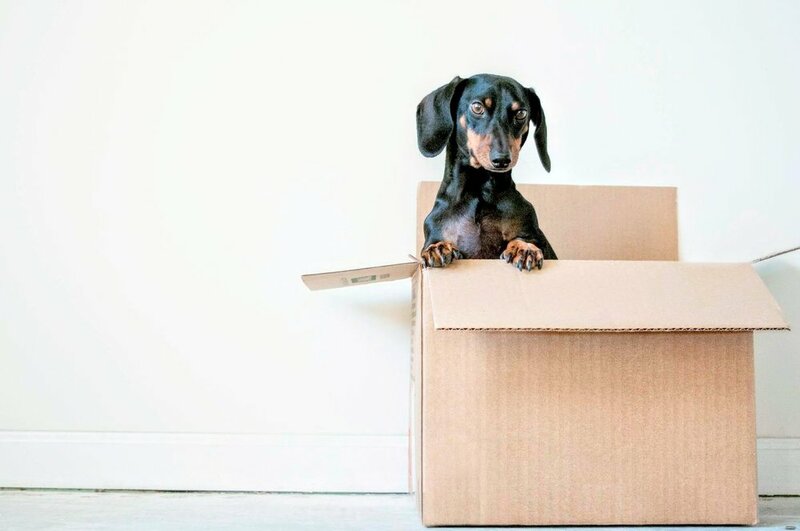 It’s never too early to prepare for a move; even if you’re planning a year or just months down the road, it’s important to establish your relocation budget. What do you need to hire out? Should you enlist the services of a design firm? Establish an employee moving committee? You definitely need to book the movers (the good ones are always in high demand), start creating your checklist, and think about how to delegate some of the more complex tasks. Taking inventory of current office furniture and determining additional furniture needs is a lengthy task when items have to be approved, ordered, and delivered. Things like transferring phone and data systems and making sure IT is functioning also take time and coordination. Imagine showing up your first day and there is no power or data for your computers--bye bye daily revenue, hello frustrated clients! You want those systems to be up and running the minute your employees arrive at their new digs. 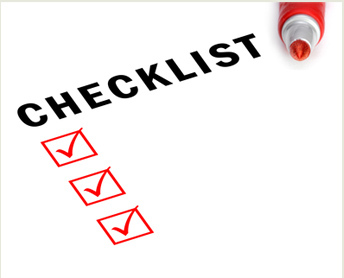 A comprehensive checklist is our constant companion during a commercial relocation. Once we’ve established the requirements and parameters of a move, we work with our clients to prioritize them, develop a checklist with realistic timelines, and delegate the required tasks. It is important to involve the employees and give them ownership of the move and new workspace. Monitoring the checklist before and throughout the duration of the relocation ensures the milestones are hit along the way. Communication can sometimes get lost in the shuffle of a commercial relocation. Employee updates are critical during the lead-up to and execution of a move. No employee likes to feel left out of a company-wide initiative, no matter his or her place in the food chain. Regular meetings with department heads followed by company-wide email briefs to keep everyone in the loop--even if there isn’t much to report--are always appreciated. Clear instructions for responsibilities during the move and expectations for the new space will help the process move along smoothly. The really fun part of relocating is determining the look and function of the office. Your checklist will ensure that specific areas are established during set up, but some things will naturally shift as the flow starts to become apparent during the unpacking. 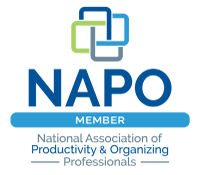 At Organization & Relocation, we’re always on the lookout for ways to streamline, downscale, and maximize efficiency. Setting up from scratch provides lots of possibilities for improvement. For example, relocation is a fabulous opportunity to make sure the office starts out clean. Seize the moment, and wipe down office furniture, electronics, wall hangings, and kitchen or break-room items. When you see them in your new space minus dust, coffee rings, and mysterious science-experiment buildup, you’ll be amazed at how such a small investment can yield such a huge return! After your move is complete and you’re settled in, you may notice how maintaining a high organizational level actually increases company morale, especially if common areas like the kitchen or break room are kept clean, clutter-free, and pleasing to the eye. According to the U.S. Bureau of Labor Statistics, employed individuals ages 25-54 spend an average of 8.8 hours a day working or in work-related activities. Since most of us spend the majority of our week at work, why not make it an environment that reduces stress and promotes productivity? The Wall Street Journal reports that the average U.S. executive wastes six weeks annually searching for important documents lost in clutter. Lost time is lost money in your pocket, so keeping an organized office-wide system in place helps out in every way--including your bottom line. A commercial relocation is a time to celebrate leaving the old and welcoming in the fresh and new. With some lead time, a checklist, and a solid plan, you can make this relocation look like a piece of proverbial cake. The fact that your business continues to function at the same time? Let’s call that part the icing. Hello, and welcome to the first Org & Relo blog entry! Our company provides organization and relocation services to residences and businesses, helping increase overall efficiency and productivity. Here, you will find practical tips on organizing and relocating. Be sure to check back for new info! Summer season is officially in full swing, and for many families, it's moving time! Whether relocating a few blocks or between states, moving is stressful and chaotic. Such overwhelming feelings may lead you to think that the best packing strategy is to throw everything randomly into boxes and label it "miscellaneous stuff." You'll deal with it later while unpacking, right? No! This kind of scattered packing only leads to more work for you, your movers, and your organizers (aka. increased costs!). Think of the energy and labor it'll take to unpack a box that contains electronics, a sock, dog toys, and expired cereal; where do those things even go?? The first step in prepping for your move is to start early - ideally a month or two before moving day. Prior to packing, start by categorizing all belongings throughout the home and grouping like-items with like-items. Then, assess what you own and determine what items are expired, old, unused, and in current use. People are shocked when they see a group of, say, 5 fans, 16 iphone cords, 10 staplers, etc. How did that happen?! Any items that do not fall into a current use or memorabilia category can be thrown out, recycled, consigned, or donated. Bottom line - don't waste time, energy, and money on packing and moving items that you don't like or don't use. Nobody has to know that you don’t like, never use, and donate that ugly gravy boat so-and-so gifted to you at your wedding!